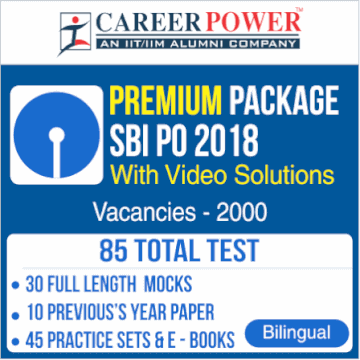 Today is the Day 50 of the SBI Clerk 60 Days Study Plan. This section can be easy as pie if your basics are clear. Sometimes, even those who can communicate very well in English, fail to perform to the best of their ability in the banking exams. So, instead of boiling the ocean, try building up a strong vocabulary, an effective knowledge of grammar, and efficient comprehension skills so as to be on the ball to face this particular section. 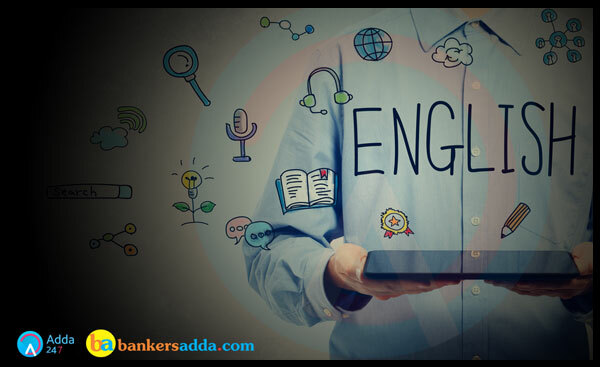 Here is a quiz on English Language being provided by Adda247 to let you practice the best of latest pattern English Questions. Direction (1-5): Which of the following phrases given below each sentence should replace the phrase printed in bold letters to make the sentence grammatically correct? Choose the best option among the five given alternatives that reflect the correct use of phrase in the context of the grammatically correct sentence. If the sentence is correct as it is, mark (e) i.e., “No correction required” as the answer. Q1. With heavy rains in Bhagamandala, which is the source of the Cauvery, the volume of flow in the river is expected to maintain the inflow to the reservoirs in the downstream. Q2. The defense counsel argued that the documents submitted by the prosecution were fabricated by the authorities. The letters are unambiguously submitted. The veracity of their contents and authorship are yet to be proven. Q3. While the Fisheries Department and Marine Enforcement will make all arrangements at the Azheekkal harbour to implement the ban, the Harbour Engineering Department will sharpen the amenities at the harbour. Q4. Another demand of traditional fishermen is extension of trawling ban to 90 days and prohibition of mechanized crafts with ring seine nets in coastal waters during the ban. Fishermen who become jobless during the time will be given financial assistance and free ration. Q5. According to the police, a quarrel broke up among the friends over a trivial issue and it subsequently resulted in stabbing, outside Ajanta Hotel near the railway station. In 2012, the great American writer Philip Roth (6)…………………….. to the world that he would stop writing. At the age of 79 — after a lifetime of 30-odd novels, a cupboard full of prizes, and more (7)…………………… and adulation than most writers could imagine — he declared that he was done (8)………………. away at paragraphs to build temples of prose. His literary back, after one too many Sistine Chapels in words, had given away. He was tired of being alone, standing in front of his computer, while his fingers and mind (9)………………… to birth another novel. It wasn’t the literary (10)…………………… called the ‘novel’ that tired him; it was the very act of writing, the fog of loneliness in front of a blank page through which all who seek to write must ferry past. Directions (11-15): Rearrange the following five sentences (A), (B), (C), (D), and (E) in the proper sequence to form a meaningful paragraph and then answer the questions given below. (A) The result of this inward gaze were unrelenting, sensitive, and close-up observations of human behavior. (B) This resulted in protagonists who were comical, self-aware, lustful, despairing, cruel, misunderstood and ultimately lost in the labyrinths of their own making. (C) Of even lesser interest to his novels were the ideologies, the various -isms, in whose name much social tumult followed. In contrast, he was interested in humans and how they seek to present themselves to other humans. (D) Resultantly, one could mistake Roth’s oeuvre for a catalogue of human grotesque. Deceptions, infidelities, self-deceptions and betrayals abounded in his works. (E) The social contexts of Roth’s novels were merely ecologies, which were in themselves less interesting. Q11. Which is the SECOND sentence after the rearrangement of the above sentence? Q12. Which is the THIRD sentence after the rearrangement of the above sentence? Q13. Which is the FIRST sentence after the rearrangement of the above sentence? Q14. Which is the FIFTH sentence after the rearrangement of the above sentence? Q15. Which is the FOURTH sentence after the rearrangement of the above sentence?